"Summer's List" is a sweet, touching read. Summer set aside her own dreams to care for others and although she did this she has been content with her life and how it is turning out. However, one night her life is completely turned upside down - Summer is suddenly single, she finds out devastating news from her grandmother and she is given a list on gold paper. I realty enjoyed this book, the storyline, the characters, how nicely the story flowed and everything that was woven into the story. This is a quick read as you are not going to want to put it down as you will become completely immersed in the story and in Summer's life and fulfilling the list. *Thanks to Litfuse Publicity Group for including me on this blog tour and for the complimentary copy of this book in exchange for a honest review. "The Little Paris Bookshop" appealed to me with the blurb that I read as I love books, bookshops, everything books. However, there was so much more to this story than I initially thought and I was drawn right into the story and into the book world. Psychology is a big part of this book as well and I have a degree in psychology so this made the book even more so appealing to me. The characters each have their own quirks, and this with the love, secrets, guilt and forgiveness make it an irresistible read. I was caught up in the story and transported to a different part of the world and into the minds of these individuals and into the lives that they have built for themselves and also into the world of books. This would be a great book to lose yourself in this summer while lounging on the beach or relaxing in the shade at home or anywhere you enjoy to read. ** "I received this book from Blogging for Books for this review." Minor---but-nagging setbacks continue to sour Grant and Audrey Whitman's initiation into the world of innkeeping, but larger challenges brew when an innocent flirtation leads to big trouble for the Whitmans' son-in-law, Jesse. Jesse Pennington's friendly, outgoing personality has always served him well, especially in a career that has earned him and his wife Corinne a very comfortable lifestyle. But Corinne and Jesse are both restless---and for similar reasons, if only they could share those with each other. Instead, too many business trips and trumped-up charges of harassment from a disgruntled coworker threaten their marriage and possibly put their three precious daughters at risk. Deborah Raney's books have won numerous awards, including the RITA, National Readers Choice Award, HOLT Medallion, and the Carol Award, and have twice been Christy Award finalists. She and her husband, Ken, recently traded small-town life in Kansas-the setting of many of Deborah's novels-for life in the (relatively) big city of Wichita, where they enjoy gardening, antiquing, movies, and traveling to visit four children and a growing brood of grandchildren who all live much too far away. 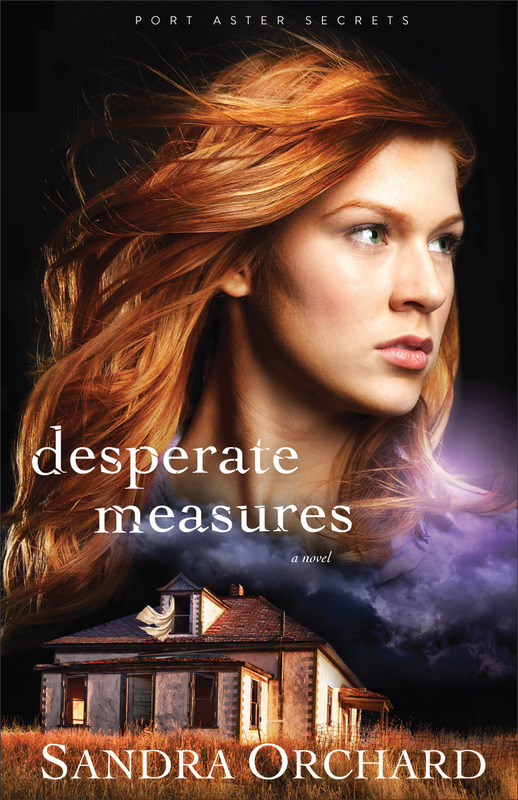 Before I was even done with book #1 in the Chicory Inn series by Deborah Raney, I knew that this was a must-read series for me, meaning as soon as the next books were out I had to have them to read! "Home to Chicory Lane" set the scene for this series as the family home is being converted into an inn as a couple is dealing with an empty nest or so they thought. Now, "Two Roads Home" continues on with the family but focuses more on daughter Corinne and her husband and their daughters. Jesse and Corinne are faced with challenges that result in some major life changes and really learn what it is like to be a team. I really do not want to say too much about the storyline as I do not want to give anything away. This book is just so good that I highly recommend it. It ties in the country charm of a cute inn, but also the characters are so real as they are dealing with real-life issues and their lives are not romanticized in the least. I found myself cringing and questioning some of the actions and decisions made and cheered at other moments; now I am eagerly looking forward to book #3 to see how things are going in these characters' lives once more. Kate won't be safe until all of Port Aster's secrets are revealed Researcher Kate Adams has finally pinpointed the supposed "miracle plant" that tore apart her family years ago. She's certain that discovering its secrets is her only hope of solving the mystery surrounding her father's disappearance. She's willing to risk anything to find the truth, including her relationship with Detective Tom Parker. But with so many people in pursuit of the plant, going it alone might be a fatal mistake. Sandra Orchard is the award-winning author of several books including Deadly Devotion, winner of the 2014 The Word Award for suspense, and Blind Trust. Her Love Inspired Suspense titles have garnered two Canadian Christian Writing Awards and a Romantic Times Reviewers' Choice Award. Sandra has also received a Daphne du Maurier Award for Excellence in Mystery/Suspense. She lives in Ontario, Canada. Learn more at www.sandraorchard.com. I have been looking forward to this book ever since I finished book #2 in the trilogy and I was not disappointed at all with this conclusion. Sandra has created an excellent series with these three books as she was able to create wonderful characters and immediately draw the reader into the characters' lives and tie in together secrets, relationships and suspense. Kate and Tom both became so real to me as did the entire community. I highly recommend this trilogy for those whom enjoy romantic suspense. Emmie finds shelter in the arms of a soldier in Fort Laramie, Wyoming, but will her big secret drive them apart? Find out in book four, A Heart's Betrayal, of Colleen Coble's A Journey of the Heart series. Suddenly displaced, powerless, and ashamed, Emmie can’t stay in Wabash, Indiana. She makes a hopeful start for Fort Laramie to find her friend Sarah Montgomery and a new beginning. But when she arrives, she discovers she’s pregnant—and without a husband. The new start she’d hoped for slips from her fingers. Melt into summer with a new giveaway from Colleen: four books (books one–four in Colleen's A Journey of the Heart series) and a box of chocolates to pair with your new books! Enter today by clicking the icon below. But hurry, the giveaway ends on June 30th. Winner will be announced July 1st on Colleen's website. When Emmie Croftner answered the door to her late husband's home, she discovered an awful truth: her deceased husband was a bigamist. And what's more, the home she thought she inherited never belonged to her at all. Suddenly displaced, powerless, and ashamed, Emmie can't stay in Wabash, Indiana. She makes a hopeful start for Fort Laramie, Wyoming, to find her friend Sarah Montgomery and a new beginning. But when she arrives, she discovers she's pregnant---and without a husband. The new start she'd hoped for slips from her fingers. But then she meets Isaac Liddle, a handsome soldier with a kind heart. When he begins to court her, Emmie wonders whether she could ever really be his---and whether she dares to tell him she is carrying another man's baby. I really enjoyed "A Heart's Betrayal," the next installment in Colleen Coble's Journey of the Heart saga. This one really dove into the personal aspects of the characters' lives and more about their family lives at the fort. Emmie is a character whom I immediately loved and empathized with; she has not have a pleasant upbringing and thought she was living a better life until in an instant when she opened the door to a stranger and her son. This part of the saga continues on with Sarah's life and also reunites her with her best friend as well as welcoming Emmie into her world as well. Colleen does an excellent job with character development and also setting the scene and portraying how life must have been like for people during this time period. I really enjoyed Pamela Lavey Lau's book, "A Friend In Me" as it is thought-provoking and overall a guide for creating and maintaining a relationship as a mentor to a younger woman. Growing up is difficult and is even more so when you feel alone, meaning you have no one you feel that you can go to with anything on your heart and mind. This book addresses the concept of being a safe haven for women younger than you whom need guidance and someone they can talk with as needed. Pamela also shares the need for these relationships and women being willing to be this type of person. This was an eye-opener but also gave me a clearer understanding of how I can be this type of person with some women whom I interact with and how I can be more of a friend and help. I always enjoy Melody's books and her latest is another great read. "Once Upon a Summertime" is a light, summery read that is the story of Anna taking a chance and following her heart and her dreams. Anna and Sean are both main characters whom I loved immediately and could connect with. New York City is the setting for the book and I love the detail that is shared about the various plays they play tourist to, so many details that I felt as if I was there with them at St. Patrick's Cathedral, The Rothsberg and dinner in Little Italy. I also loved the roles that all of the minor characters played including Marley, Max and Anna's grandmother who is filled with wisdom and love. I highly recommend this book, it is the perfect summer read and romance. After her father's death, Caroline Taylor has grown confident running the Windmill Point Lighthouse. 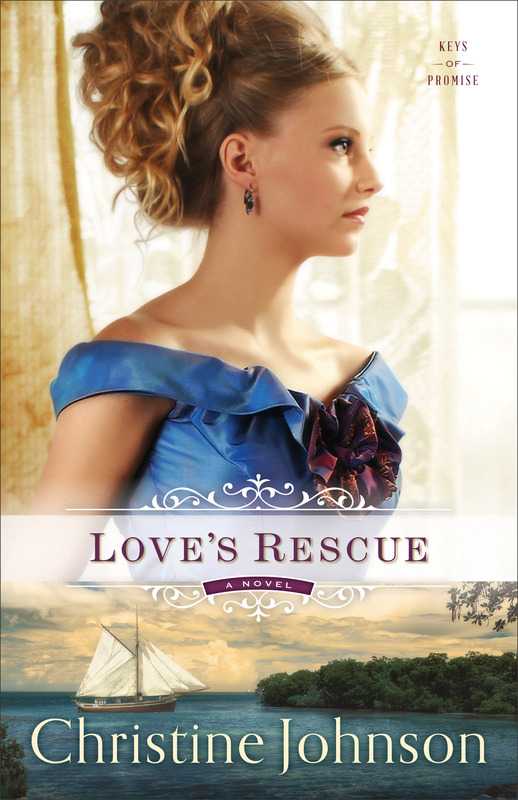 But in 1865 Michigan, women aren't supposed to have such roles, so it's only a matter of time before the lighthouse inspector appoints a new keeper---even though Caroline has nowhere else to go and no other job available to her. Ryan Chambers is a Civil War veteran still haunted by the horrors of battle. He's secured the position of lighthouse keeper mostly for the isolation---the chance to hide from his past is appealing. He's not expecting the current keeper to be a feisty and beautiful woman who's angry with him for taking her job and for his inability to properly run the light. When his failings endanger others, he and Caroline realize he's in no shape to run the lighthouse, but he's unwilling to let anyone close enough to help. Caroline feels drawn to this wounded soul, but with both of them relying on that single position, can they look past their loss to a future filled with hope...and possibly love? Set in the mid 1800's, Jody Hedlund, sets a vivid scene and story filled with historical detail in her latest book, "Hearts Made Whole." Caroline is dealing with much in her life, including the death of her father and running the lighthouse. However, this is deemed to be not appropriate for a woman at this time. However, this is the only home that Caroline has. When the job is taken away from her and given to someone else, Caroline is forced to make a choice that may not be as easy as it sounds. I really enjoyed this book as the time period was brought to life and the characters were so real as they were facing trials in their lives, yet also learning to have hope and leaning on God which is an excellent reminder for each of us today. I highly recommend this book! Christine Johnson is the author of several books for Steeple Hill and Love Inspired and has been twice named a finalist for Romance Writers of America's Golden Heart award. When not writing, she loves to hike and explore God's majestic creation. She and her husband, a Great Lakes ship pilot, split their time between northern Michigan and the Florida Keys. Learn more at www.christineelizabethjohnson.com. I really enjoyed this new book and start to a new series as Christine has done a fabulous job with creating characters and setting the scene. Immediately I was drawn into the story and into Elizabeth's life and the trials she is facing. This is such a great book that is filled with rich historical detail, family relationships and secrets, romance and wonderful characters whom I loved spending time with. Must of the story takes place at sea and in the deep south and the societal views and traditions are woven in so well. I am looking forward to the next book in the series! Think you'll never measure up? Think again. We all want to feel valued. We crave approval and acceptance in the eyes of family, friends, and even strangers. But when we seek confirmation that we are enough using the world's standards, it seems like we always fall short. As a result, we cannot believe we are who God says we are--accepted, loved, beautiful, and treasured. With hope-filled writing and plenty of hard-won personal advice, Carey Scott teaches you how to untangle your self-esteem from the world and anchor it in Jesus. She lovingly shows you that God was intentional in how he made you--and that he is pleased with his work. You'll learn practical strategies to escape the unattainable standards of our performance-based world. And you'll find comfort in the fact that you are not alone on the journey. Carey Scott is an author, speaker, and certified Bible life coach who challenges women to be real--not perfect--even when real is messy. She speaks to women's groups and writes an online devotional designed to help women be who God created them to be. She lives in Colorado with her husband and their two children. Carey Scott has written a book that so many need to read. 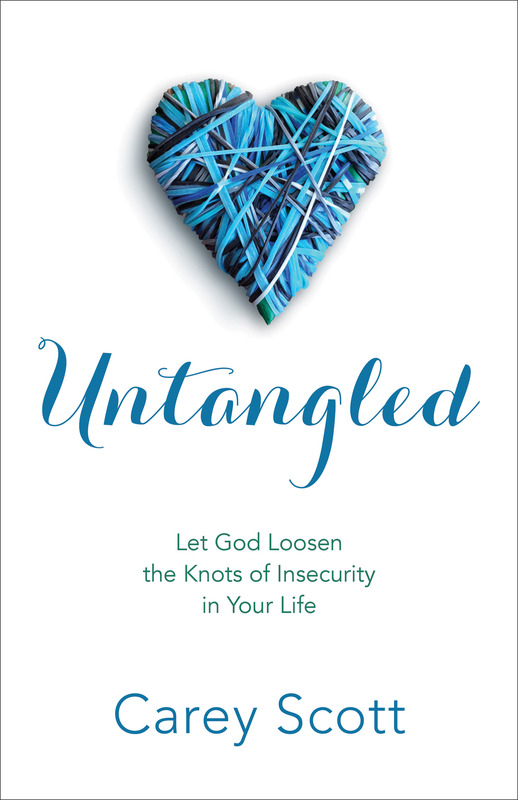 "Untangled" is filled with personal thoughts and also encouragement for the reader. This focuses on so many various areas that may contribute to us feeling insecure and inadequate either as a spouse, a parent, a friend or through social media. This is a book that I am going to read back through and really take my time with each section to really absorb and reflect on what is shared in this book. To often how I feel and how many others feel are a direct result from others' perceptions and opinions, which is not healthy. I highly recommend this book as it is such a great inspiring read. I really enjoyed this latest book from Dr. Richard Mabry as it was full of action and kept me guessing until the end! "Fatal Trauma" begins with Mark and Kelly working to save lives, including their own, while on duty at the ER and the story takes off from there as they find themselves continually in danger. There were so many more layers to this story than I initially though as bits and pieces of characters' lives were revealed as well as how the characters interacted with each other. I thought I knew who was behind the shootings and attacks on Mark and Kelly, but I was wrong and I love that I was kept guessing as that really held my attention and I could not stop reading. Dr. Mabry has a great style of writing as his medical expertise makes the story so believable and the characters so real. The emotions were high in this book as well and I found myself talking (more like yelling at a few parts!) to the characters at the moments I thought they were in danger and needing to be more careful. I highly recommend this book for those whom love suspense stories with romance tied in.